This production opened on December 5, 2014 and closed on December 14, 2014. Performances will be held December 5-7 and 12-4, 2014. Welcome to our small town of Hohman, Indiana. It gives Sandy and Artie great pleasure to introduce you to our all star cast who will bring this delightfully funny holiday gem to life. 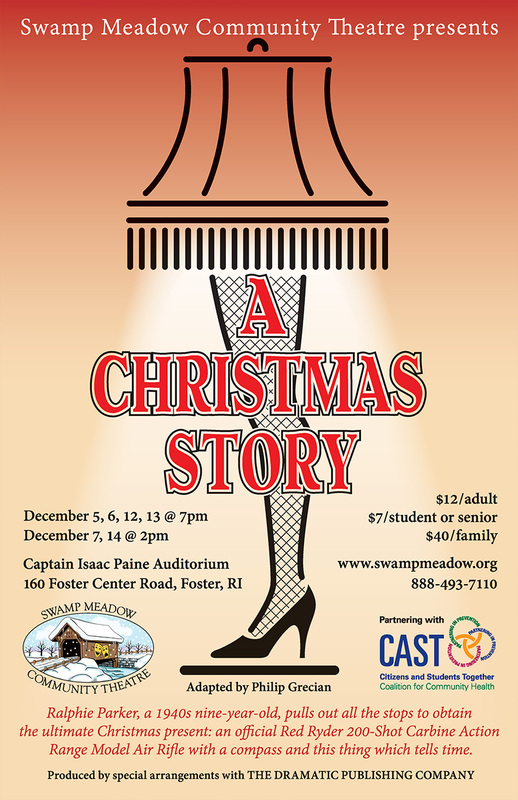 This play tells the story of Ralphie Parker, a 1940s nine-year-old who pulls out all the stops to obtain the ultimate Christmas present.